Full Moon by John Russell, 1800s. 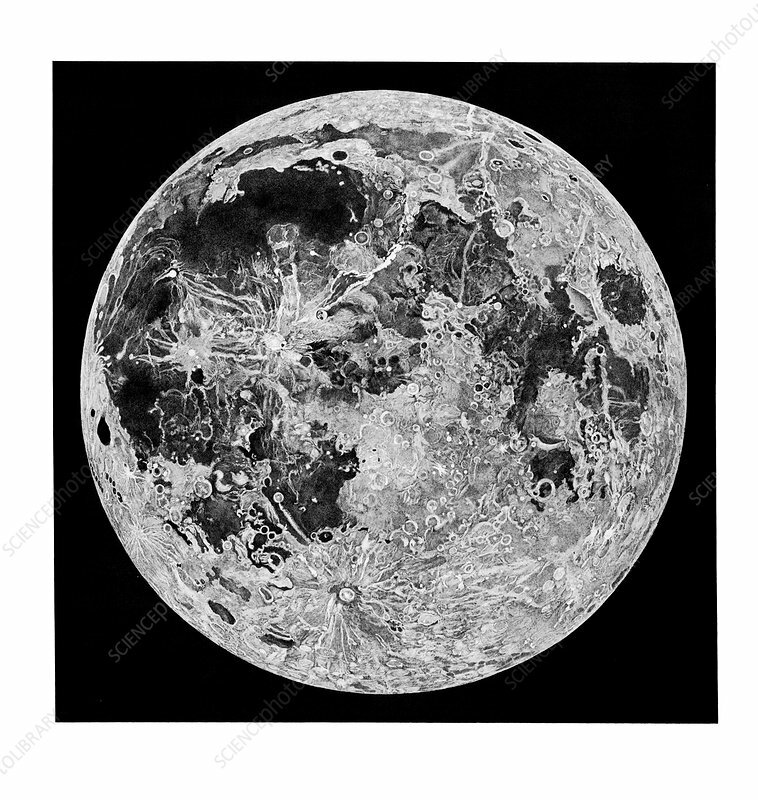 British portrait painter and astronomer John Russell (1745-1806) developed an interest in the Moon after viewing it through a telescope. He produced the largest and most accurate picture of the moon to date. This engraving shows the moon in flat light, without caption or date. It is thought to date from the period in or before 1806.